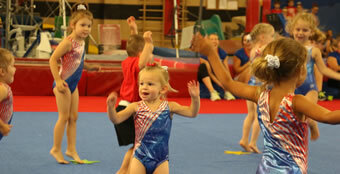 Berks East Gymnastics - Where Kids Can Grow! 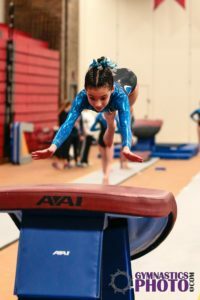 The Berks East Gymnastics mission is to provide quality sports and gymnastics instruction to children of ALL ages and abilities emphasizing fun, safety, and physical, mental, and social development. Pre-school and School Age classes, Gymnastics for All, Competitive Teams (Jr. Olympic, Xcel, PowerTeam Gym, Acro and Tumbling) & ADSN (Athletes with Disabilities and Special Needs). Come and bring your friends for a fun filled night of gymnastics, in a non class environment and work on whatever event or skill you want. Our parties are designed for children 4 and older. Each party includes a dedicated Party Host that will set-up, clean-up and assist during your party. The programs and services offered at Berks East are unmatched in the gym club industry in the Pottstown / Tri-County area. Our history is one of success – growth, learning and competitive – at all levels. All closures will be listed here if we are closed.